Hwisang Cho is a historian of early modern Korea specializing in the interactions between written culture and sociopolitical changes. He received his Ph.D. in premodern Korean history from Columbia University. He has recently completed the manuscript of his first book, “The Power of the Brush: Epistolary Revolution in Chosŏn Korea.” While emphasizing how the new epistolary culture posed challenges to traditional values and already-established institutions, this book demonstrates that new modes of reading and writing developed in seemingly mundane and trivial practices of letter writing triggered a flourishing of Neo-Confucian moral thought, the formation of new kinds of cultural power, and the rise of elite public politics. His new project titled “The Tales of the Master: T’oegye and the Construction of Charisma in Korea,” examines how the cultures of scholarship and storytelling embedded in the interplay between the oral and the written characterized the mechanism of charisma that brought T’oegye Yi Hwang (1501–1570) and his works to prominence. His works have appeared in the Journal of Korean Studies and the Journal of Asian Studies. 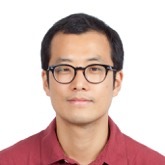 His research has been supported by the Korea Foundation Postdoctoral Fellowship (2010–11), the Andrew W. Mellon Fellowship of Scholars in Critical Bibliography at the Rare Book School, University of Virginia (2015–17) and the Andrew W. Mellon Fellowship for Assistant Professors from the Institute for Advanced Study (2016–17). He is currently a senior fellow of the Andrew W. Mellon Society of Fellows in Critical Bibliography and chairing the Diversity and Outreach Committee for the same society.